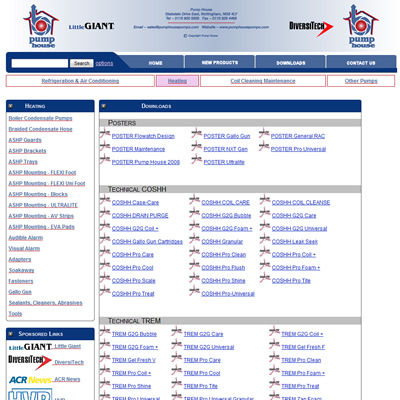 We were contracted to build a content managed website (CMS) for Pump House Ltd, a leading manufacturer and supplier of air conditioning equipment. 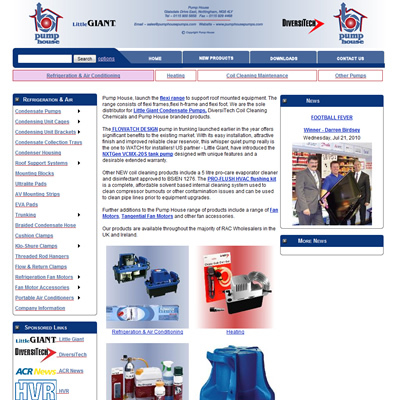 Pump House provided the design and we implemented the website. * Cross-selling of related products. 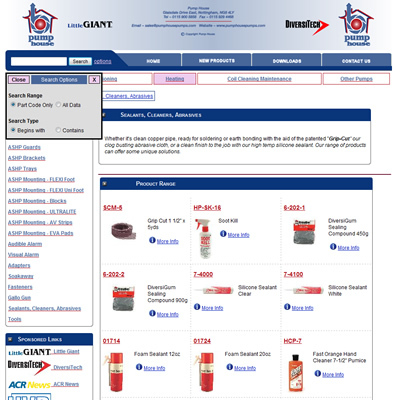 * Downloadable product images, data-sheets and installation instructions. * Detailed, customisable product data-grids. * Backup and restore facilities.